Not too many people may have heard of Iz-Real – could you please introduce yourself? Sure! I’ve been around for a long time, man. I’m from the Bronx, from the projects, which is the birthplace of hiphop. I was first signed to B-Boy Records back in 1986/87, on the same label as KRS-1. Then basically making music, became a journalist, making hiphop-radio for about 11 years. I was the first person actually to do a hiphop-radio show at Orlando/Florida. I moved from the Bronx to Florida about 14 years ago. And I started Insomniac Magazine – which is a hiphop industry magazine – about 8 years ago. And continued to make music all throughout that time. Well actually it’s the “Mic Planet Sessions” which has features like Kool Keith, MF Doom, Planet Asia and a whole bunch of people. Then before that, I had the “Drastic Jungle Project”, that was with Jeru The Damaja, I had a song with Jeru The Damaja, Zion I, Hive and a whole bunch of drum’n’bass and hiphop people. What was the most important experience you made during all these years? I would say really just growing up. You know, the experience that I have from actually being born in the birthplace of hiphop and actually growing up with hiphop when it was just developing in the 80’s and late 70’s. So, kind of growing up with hiphop. When hiphop was born I was born, too. We kinda grew up together. The originators of hiphop just hung out at my corner when they weren’t even famous, you know, like Afrika Bambataa he was just hanging on my block before he was Afrika Bambataa. I grew up with all of these guys in my neighbourhood. I was where all the original hiphop parties took place, that’s where I grew up. The Grandmaster Flashes and the Whodinis and the Red alerts and all those people before they were famous – and now they’re like historical hiphop people. Let’s talk about your new project – Viktor Vaughn 2, of course. Tell us everything we need to know about this album. I would say that it’s definately cutting-edge-hiphop. I would say that’s the most descriptive term I can give it. It’s really some new-age-type hiphop. You know, it’s not really electronical music, it is hiphop, but it has like a real cutting-edge electric feel to it. It’s tight. MF Doom is kind of like a genius in the world of hiphop. Lyrically he’s a genius and I think that the music helps him to shine even more. How did you hook up with Doom? Do you also know him from back in the days? No, actually I don’t. I met MF Doom at a barbeque at his house. 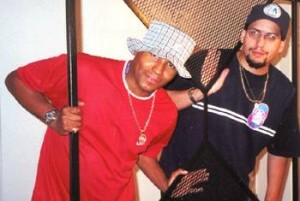 I was hanging out with Bigg Jus from Company Flow and he brought me over to Doom’s house and that’s how we first met. And I interviewed him for a cover story of my magazine back in probably 1999. That’s when we first met, about 5 years ago. And then in 2000 he came down and performed for our 6th anniversary. We have a party every year, we have about 15 different hiphop acts that come down to perform and he was one of the headliners. The first volume of Viktor Vaughn was released on Sound Ink and I actually thought that they would also have the rights for the second volume. How did you make the deal to get the rights in your hands? Well, I mean basically Viktor Vaughn is MF Doom. I have talked to MF Doom about doing a project. And MF Doom basically wanted to do another Viktor Vaughn. So basically he brought it to me. So that’s really how it happenend. You know, Viktor Vaughn is Doom. He just did a project with them. He has just like one time projects with all the different labels. Like the Rhymesayers thing he’s doing with Slug’s label and the Stonesthrow project he did with Madlib. He’s not really signed to anyone’s label, he’s just doing projects with different people. 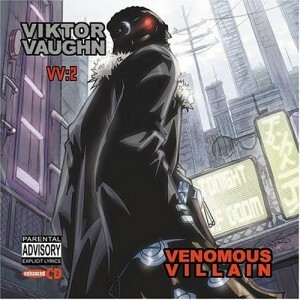 What’s the difference between Viktor Vaughn Volume 1 & Volume 2? You know what? I would say that 2 is a different record in general. To me it’s just cutting edge. It’s just cutting-edge-hiphop, it’s just futuristic. You know, 1 was great! And I don’t think this one is better or worse, it’s just a different sound. This one is almost kind of like the future of hip hop, just kind of like a space-age-type sound. Is there also a continous storyline as on the first volume? Yeah yeah yeah, this one definately has a – I don’t know if you can call it a storyline – but it’s kinda like watching a movie. It’s alot of drama, it’s dramatic. It’s like the experience of watching a movie except that it’s an audio movie. It has a theatrical sound to it. Doom didn’t produce one single beat on the new project, so how did you get all the different beatmakers together? Well what I did was, I put out a message to thousands of people. And I asked people for beats to submit for the project. And I almost got 400 beat submission from beat producers from all over the United States. Some were known and some were totally unknown. And basically what I did was I selected a bunch of ‘em that I thought were some of the tighter ones and then I brought them to Doom. And then Doom narrowed down the selection to the ones that he really really liked. And that was really how we broke it down – from about 400 hundered beats to 12 tracks. Which qualitative criteria must be complied by a producer to have his beats featured on a project like this? You know, with music everything is really subjective. I would just say if it sounded good and if it sounded like something that would feel right for the project. So I wouldn’t say there was a certain criteria. People submitted all kinds of music that they felt. You know, these are fans of MF Doom so that was real cool because they were actually making music for him. So when they submitted beats they were making music for someone that they really respect and someone that they like. So it was really what they felt was good for MF Doom. So the producers made music that they felt was right for him. So after I narrowed it down he was able to pick the ones he felt best to rap on. Does Doom have all liberties as an artist on your label or does he have to restrict himself in any way? As far as lyrically? Yeah, of yourse! I mean, he’s Viktor Vaughn and Viktor Vaughn rapped what he felt he needed to say and got out of his system. The stories are all Viktor Vaughn stories. The lyrical content is exactly what he wanted to do. Lyrically he was able to do everything and anything he wanted to do. All I did was basically help in hands and finish up the songs as far as making them as tight as possible. But as far as the content it was all 100% Viktor Vaughn. You know, he becomes a different person, this is something difficult for me, too. When you’re dealing with Doom he seperates the characters in his mind. You know, when he’s writing and when he’s Viktor Vaughn, he’s not MF Doom anymore. See what I’m saying? That’s how it’s crazy but that’s the way he operates. Even when I’m talking to him sometimes, he be like ‘woah – this is Viktor Vaughn, this isn’t about Doom’! I might not understand it but that’s how he operates. That’s how he wanted to do it. 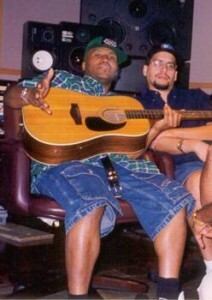 Kool Keith is also featured on the album – how did you bring these two together? Back to Viktor Vaughn Volume 2. How many units do you expect to be sold? You know what? I don’t even wanna speculate because I have no clue. I think at the end of the day it’s up to the fans who want to support. I’m sure he has new fans and old fans, let’s see how they make it happen. I can’t even guess, to be honest with you. You’re the founder of Insomniac Music. Could you tell me anything about the history of the magazine? Yeah, the magazine has been around since 1996 and basically it was a magazine that I started to support the kind of hip hop that I grew up with in the Bronx and the stuff that I didn’t feel was being represented by other magazines. When you look at Insomniac Magazine, you’ll find people like Kool Keith on the cover, people like Black Moon, Diamond D, Rakim, Gangstarr, Kool G Rap, Pete Rock, The Roots and Slick Rick, you know, people that you don’t really see on other covers of magazines. It’s just hip hop, it’s quality hiphop, that’s what we cover. How do you comment the state of independent rap in general? Is it going up or down? When I first was into hip hop and when it was kinda like new in the early 80’s it was beautiful and it got better and when the 90’s came around it started to go downhill and then in the mid-90’s it went back up. I’m more gravitated to a progressive and independent hip hop music and the state of independent hip hop music is bigger now than ever before. So that’s a good thing. But at the same time it’s a bad thing because it’s saturated by alot of stuff that maybe shouldn’t be out. So I would say that it’s good and bad. It’s good because you have so much out there and it’s bad because it’s alot of garbage out there. It’s both sides of the equation. Do you have any last words to the fans in Germany? *laughs* Well I would just say for the fans out there: quality hip hop music! Wether you’re a MF Doom fan or Viktor Vaughn fan, if you like quality hiphop music definately check out the new Viktor Vaughn 2!